The OBi1062 is a matte phone with a great color display. It's reasonably sized and doesn’t take up a lot of desk space. The display is really impressive. The screen gives you quick access to some of the phone's apps, such as call history, preferences, product info, and more. The OBi1062 has six hard line keys that can be programmed, along with up to 24 line keys and eight programmable keys. Notifications work great because there’s an LED display on the top right of the phone. Obihai provides a cloud management service called OBiTALK that utilizes remote support, including software updates, registration, and Google Voice compatibility. You can also import contacts from Google. This is very useful for IT support staff who manage remote users and phones. Beyond importing contacts from Google through OBiTALK, the only other way to add individual phone contacts is through the Contacts app (which is available via the phone screen). There’s no way to add contacts from the web interface. There are two ways to register your account to a SIP provider. One is through OBiTALK, which gives you the list of SIP providers partnered with Obihai. If your provider is not listed, you can still use the manual registration method. This registration method is through the web interface, but it’s not very user friendly. Sometimes the options are confusing. Just observe the parameter name of the sample interface. It’s like a confusing code for their device. The OBi1062 can make HD calls with the G.722 codec. Aside from G.722, the phone also supports Opus, G.711, G.729, G.726, and iLBC codecs. Codecs can only be configured through the web interface. To pick the codec that you want to use, make sure to check the enable box and set the priority in the order you want. The OBi1062 has USB ports for extra storage and external Bluetooth-enabled devices. The OBi1062 comes with WiFi support (802.11n). When we tried to connect to our wireless access point, an Aruba AP-215, the phone connected immediately without any issues. Calling over WiFi works fine 20 feet away from the access point. But when we moved to the conference room, 40 feet away from the access point, the sound quality degraded to the point where we couldn't hear the other caller speaking. Only syslog is available to troubleshoot the phone, and you have to point to a syslog server to activate these capabilities. There are no PCAP capture or logs included with the OBi1062. The sound quality of the OBi1062 handset depends primarily on the network settings. While using an Ethernet cord for Internet access, the phone delivers good sound quality with consistency. The quality of calls over WiFi can be spotty at times. Calls made close to a wireless access point are fairly good, but any more than about 40 feet away will make the call incomprehensible. The speakerphone, in general, is middling in sound quality. We were never confused by the audio, but the quality dip is noticeable compared to the handset. Everything worked in our internal testing on the Obihai OBi1062. Call functions and account registrations passed our tests. Step 2: Create an OBiTALK account. Go to https://www.obitalk.com/obinet/login/ and create an account. Step 3: Enter account credentials. Register a SIP account in OBiTALK using the credentials from Step 1. Under the "Account" tab, expand the "Basic" section and verify that "Register Status" displays "Registered" next to it. The OBi1062 is a solid phone that’s packed with great features. The color screen is superb. 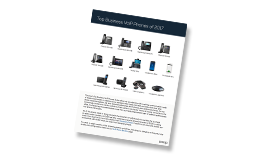 The depth of the feature list puts it on par with other leading VoIP phones. WiFi and PoE are also welcome additions to the phone. With all things considered, the OBi1062 could be deployed in practically any business scenario, from a single use case to mass deployment for an entire company. Perhaps the most serious issue is the sound quality over WiFi. We found that the WiFi's practical usage extended for a 40-foot radius, which is not sufficient for all business spaces. If you're hoping to bring WiFi to your IP phones, the OBi1062 might not be the phone for you. The web interface was confusing to navigate at times, although OBiTALK largely replaces the need to change phone settings from the web UI. Additionally, it would be nice to add more troubleshooting tools like logs or PCAP. The Obihai OBi1062 will work great for users who want a mid-range IP phone with a sharp color screen, PoE, and standard VoIP features.